Our 1.2 million associates scan and visually inspect billions of items on the shelf every month to identify stock outs, missing labels, inaccurate prices, misplaced product and other modular integrity issues. As the world’s largest retailer, it’s our job to make sure we have product in-stock and correctly labeled for our customers. Additionally, it’s our job to provide what Sam Walton called legendary customer service. This case study is about how we are using robotics to free up our associates to focus more on the customer. Part of providing legendary customer service is making sure we have product on the shelf, have it labeled correctly, and have it organized so our customers can easily find what they need. On top of that, our store associates should be friendly and available to greet and help nearby customers. Our associates are spending thousands of hours a day remediating modular integrity and stock out issues. It’s just a natural part of the retail business - items on the shelf sell through, price tags get brushed off when someone walks by, and sometimes people put things back on the shelves where they don’t belong. The first part of fixing these problems is the task of identifying them. This means hours and hours of visual inspection. Then, after the issues are identified, the associate takes the appropriate steps to remediate them. The problem, however, is that we have associates tasked with doing some work that is repeatable, predictable, and manual. If we could free up associates’ time, they could spend more time helping customers…getting to that legendary service. We are currently deploying shelf-scanning robots in up to 50 of our 4700+ stores to check for these very same problems that our associates are tasked with finding and addressing. The robots themselves are about two-feet tall and have an arm that extends about six feet into the air above the body of the robot. The arm is equipped with a number of high definition cameras that allow them to capture and detect data about our product and labels. 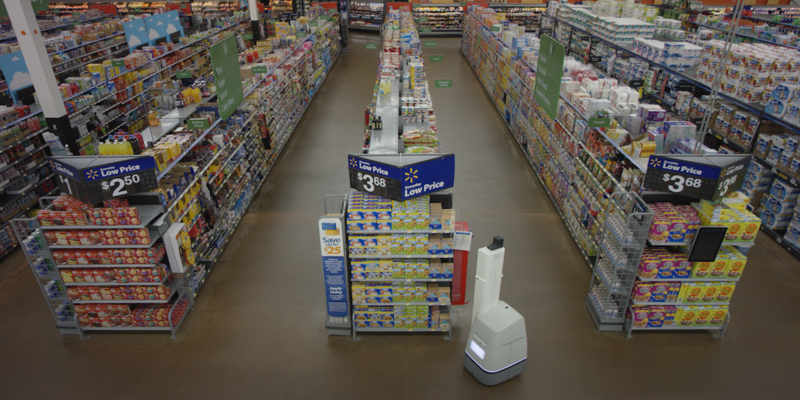 In addition, the robot has a series of sensors that are aware of its surroundings, allowing it to navigate past poles, customers, associates, and other things that might be in the aisles. The data from the robot is compressed and processed through a series of cloud technologies that analyze the image for discrepancies. It then feeds this data back to store associates, allowing those associates to spend their time fixing the problems. Essentially, the robot can now be the “eyes” of the associate. The associates can then focus their time on the value added activity of actually fixing the problems. In addition, they can spend more time taking care of our customers. 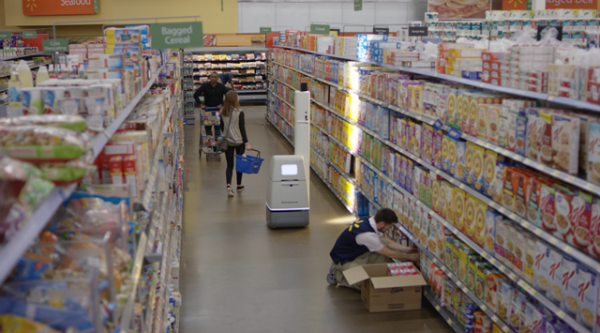 At this time, the robots in store have autonomously traveled over 620 miles without an incident. They have scanned thousands of shelves and identified tens of thousands of outs. The technology is in the proof of concept stage but is rapidly maturing. 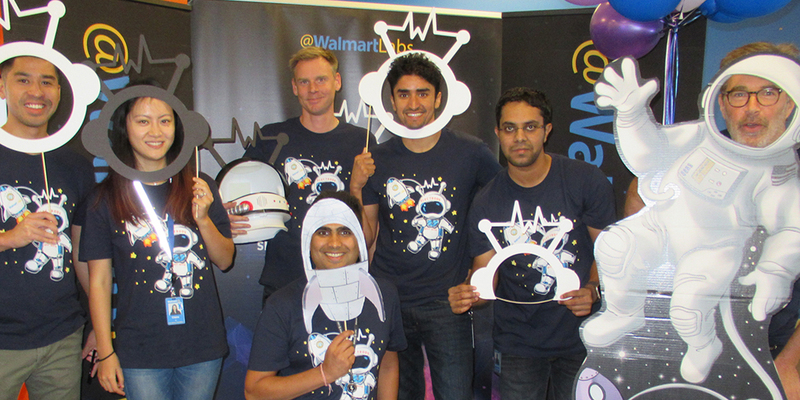 The accuracy of the robots has been tuned to acceptable levels in initial test areas of the store, and the Walmart Labs engineering teams are now integrating the robot data with associate tools such as Section Work and the Backroom Tool. 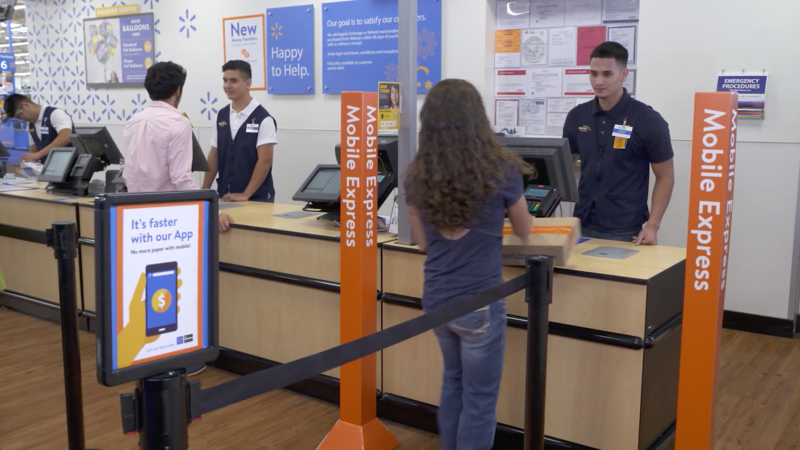 Ultimately, the integration with store tools will allow us to reduce the amount of time our associates spend on these manual, repeatable tasks and allow them to focus their time on that legendary customer service. Any reference in the In-Store Robotics case study to any specific commercial product, process, or service, or the use of any trade, firm or corporation name is for information and convenience purposes only, and does not constitute an endorsement or recommendation by Wal-Mart Stores, Inc.